It’s International Stress Awareness Week and unsurprisingly, the workplace features strongly in the global campaign. Researchers say we are facing “a stress epidemic” which is amplified by sedentary occupations and a lack of wellness amenities. Here are 4 ways flexible workspaces can help to reduce stress and improve mental and physical wellbeing at work. Did you know that the UK has a Minister for Loneliness? There is also a Chief De-stressing Officer. His name is Neil Shah and he works for the Stress Management Society (we’ll hear more from Shah later). It’s sad that these roles exist. Or is it? The fact that we recognise these situations and we are prepared to do something about it is actually a positive sign. Whatever happens on the ground, these unusual job roles are well-covered by the media and they’re helping to spread awareness. Loneliness, stress, and other mental health issues are difficult to talk about — but we need to do it. We need to open up conversations and talk about mental health because the more we talk about it, whether that’s a verbal conversation or a news headline, the more we raise awareness and let people know that solutions exist and something is being done. And this week is the perfect time to do it. It’s International Stress Awareness Week, an initiative started in 1998 that aims to reduce the taboo associated with stress and mental health by encouraging people to ‘speak up and speak out’. Unsurprisingly, the workplace features strongly in much of the international campaign. In one particular study, researchers from the Stress Management Society undertook a survey with workplace design consultants Peldon Rose, and found worrying statistics related to the mental health of office workers. 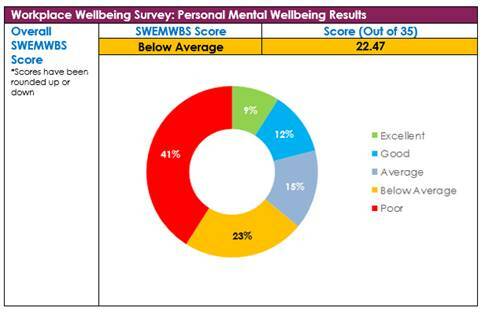 Mental wellbeing: 41% have ‘poor’ mental wellbeing according to the SWEMWBS scale, and a further 23% are ‘below average’. Absence: Half of all workers (48%) say that they have taken a day off work for their mental health. Lack of help: A quarter of respondents (26%) feel that their organisations do nothing to help their employees manage stress in the workplace. Time to change: Only half (52%) say their office environment supports them to take regular breaks, a third (37%) that it encourages them to exercise and a quarter (26%) that it encourages them to meditate. 950 UK employees across a variety of industries took the survey using the Short Warwick & Edinburgh Mental Wellbeing Scale (SWEMWBS), which is calculated through questions about an individual’s emotions, quality of interpersonal relationships and psychological functioning. Researchers say we are facing “a stress epidemic” which is amplified by sedentary occupations, long days in front of a screen (typically 9 hours or more), increasing workloads, and diminishing free time to spend on themselves. Neil Shah from The Stress Management Society — who has the unusual title of Chief De-stressing Officer — says that workplaces shouldn’t just mitigate stress or poor wellbeing, but flip that notion on its head and actually improve an individual’s health by being at work. “I am a massive believer that going to work should make you healthy,” he commented. It should be “good for your mental, physical and emotional state”, particularly as the pace of life continues to accelerate and more people find themselves overwhelmed. With the line between work/life eroding, workers are now calling for radical changes in the workplace to help tackle mounting stress and associated mental health illnesses. As part of the survey, workers suggested ways in which they can feel better at work, which included the introduction of exercise facilities, a yoga and meditation room, quiet working areas and breakout spaces. Many of these facilities are now being introduced in flexible workspaces, while some spaces take a more concentrated approach on workplace wellbeing. Among them is Primary, a coworking brand in New York that focuses on providing wellness-orientated spaces for health and comfort. Primary features fitness studios with regular classes including yoga and meditation, its own cafe with healthy drinks and snacks, a nap room, and greenery throughout — including moss walls, fresh flowers and live planters. Of course if you’re thinking that there’s a whole lot more to mental health and wellbeing than yoga classes and nap rooms, you’re absolutely right. But these amenities are a huge step in the right direction. When you spend the majority if your day (and daylight hours) inside at a desk, dealing with endless challenges and battling an overflowing email inbox, these amenities can serve as a reminder that you need to take time for yourself. When you’ve booked and paid for a meditation class that starts in 10 minutes, it reduces the temptation to skip it and carry on working. What’s more, spaces like Primary are making plenty of noise about personal health (their blog post ‘Stop and Take a Breath’ is well worth a read), and that’s exactly what we need to open up difficult conversations about stress, personal wellbeing, and mental health. 1. Encourage exercise: Physical activity has been shown to decrease overall levels of tension and stabilise mood, but in our always-on culture, finding the time to do it is a challenge. Workplaces should encourage exercise — be it an on-site fitness centre, discounted memberships at a local gym, or by holding yoga and meditation classes in a meeting room or in a local park. As an example, UK business centre brand UBC doesn’t have on-site gyms, but it runs outdoor bootcamps and indoor sessions in spare offices or meeting rooms at lunchtimes. 2. Wellbeing time: Taking a few minutes to meditate every day with the goal of becoming more mindful, or focused on the present, is a great way to relieve stress. Yet more than half of respondents say their employers don’t support mindfulness or meditation during the working day. Incorporate relaxation zones and quiet areas into your spaces as well as ensuring plenty of access to natural light. You could even install a nap pod or room in your workspace. 3. Update technology: A third (37%) of workers in the survey cite ‘poor, slow or out-of-date technology’ as a leading cause of workplace stress. Employers must invest in the technology that will best support employees to do their jobs, and that goes for workspace operators, too. Is your WiFi connectivity strong enough for the number of people using your space? Are you making the most of CRM systems to relieve your centre manager or community manager’s workload? Do you provide adequate tech support when things go wrong or better still, to prevent easily avoided problems? 4. Supportive workplace culture: Think you can’t influence your members’ company culture? Think again. 95% of workers state that their physical work environment is important for their wellbeing and mental health. With so many different teams and businesses using your space, you have the opportunity to lead by example and help influence a more positive mentality. The act of introducing and, more importantly, using wellness facilities opens up discussions around its benefits, why it’s important, and how it can help members feel and perform better in their daily work routines. 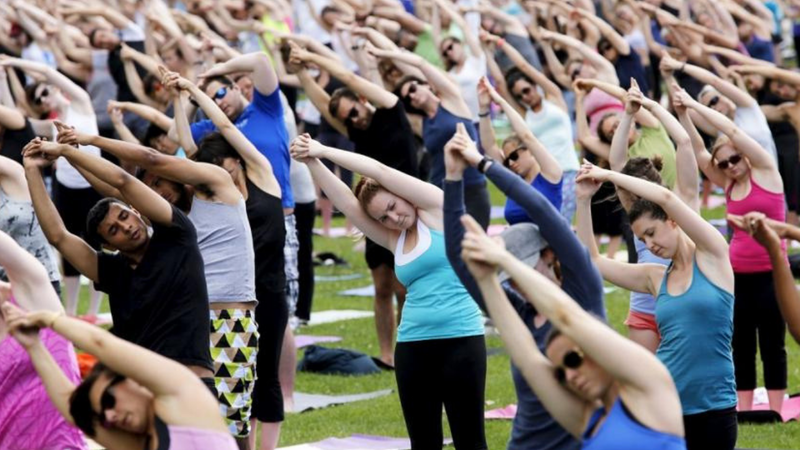 Whatever your focus on workplace wellness, it should start with the people using your space. In the case of a flexible workspace operator, that’s both your clients and your own staff. Speak to them in a way that works best for them, that is comfortable and productive — such as a focus workshop, collaborative sessions, interviews, surveys, or simply an informal chat over coffee. 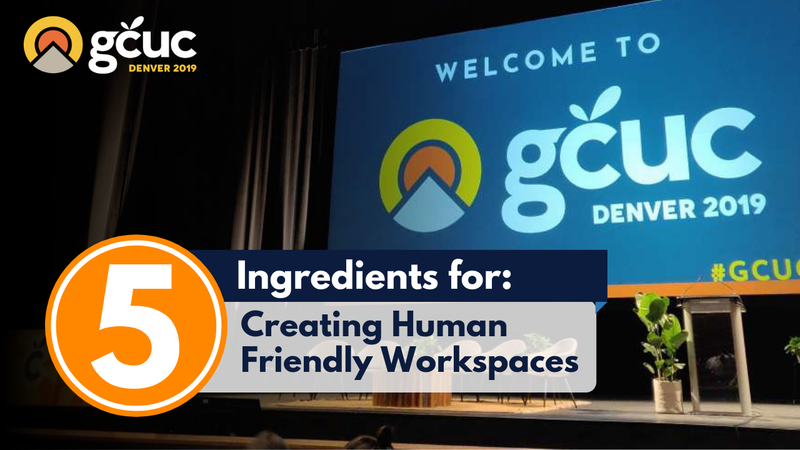 According to Shah, this will help create a positive and supportive environment that is designed around your greatest assets — your people.